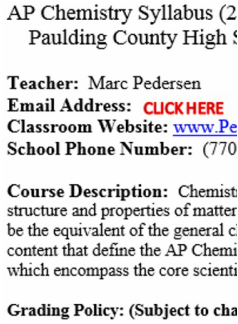 2018 AP Chemistry- Join the Remind by texting ​@f2g2dh to 81010. Chemistry is a physical science that includes abstract concepts such as the structure of atoms, structure and properties of matter, and the conservation and interaction of energy and matter. 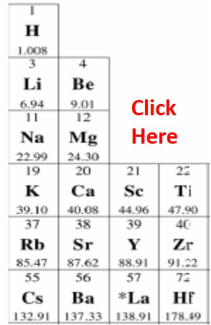 ​ AP Chemistry is designed to be the equivalent of the general chemistry course taken during the first year of college. 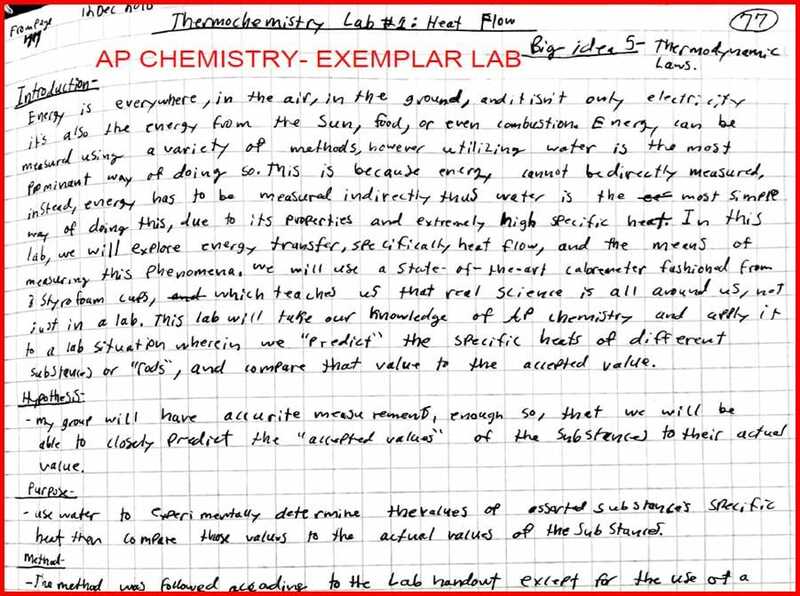 The key concepts and related content that define the AP Chemistry course and exam are organized around a few underlying principles called big ideas, which encompass the core scientific principles, theories, and processes governing chemical systems. The links below should help to get you started; however, please refer to the various subpages at the top of this website for a comprehensive list of all course resources and materials. This is the syllabus for the 2016-2017-2018 school year. The official periodic table that will be utilized throughout the course and on the AP exam. 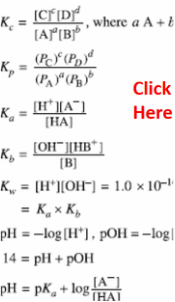 These are the AP Chemistry equations and constants that will be available for all assessments. Although this is a flipped course, this is the recommended online textbook for students needing an additional resource. Please note that this PDF will take several minutes to download. We recommend saving the PDF for future expedited usage. Hard copies of Chemistry: The Central Science (14th edition) will also be available upon request to be checked out for the entire year. Please note that this course in divided into two parts. 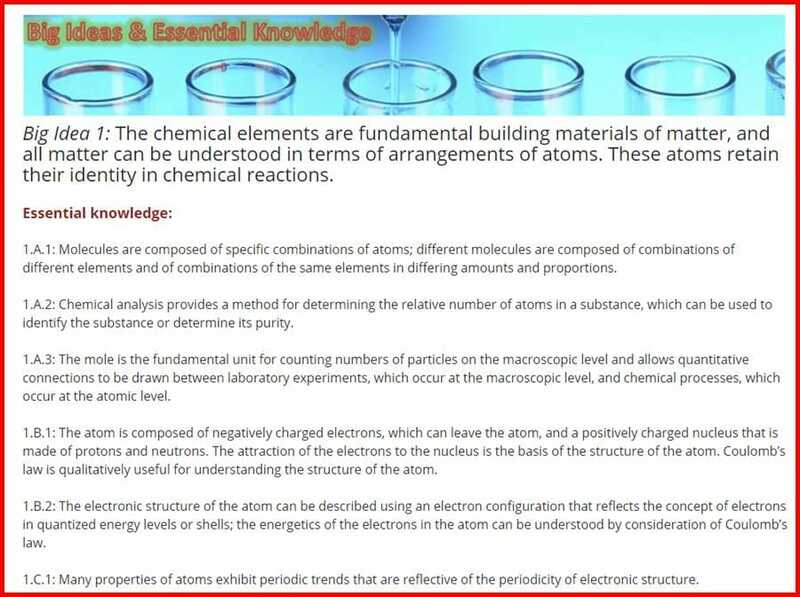 The majority of Part 1 covers chemistry concepts that will be review for 12th grade students and new for 10th grade students. Part 1 is comprised of 10 small units that will be covered in roughly nine weeks, depending on the bell schedule (i.e., block versus traditional).